The Indian consumer is today not just a buyer but a very smart buyer indeed and the startups are discovering this factor with every new approach. Recently Paytm mall stopped giving cashbacks, which it used to provide to consumers and this resulted in a drop of 90% in the overall sales. “Sales have dropped by more than 90% in grocery, people are clearly not buying any more. 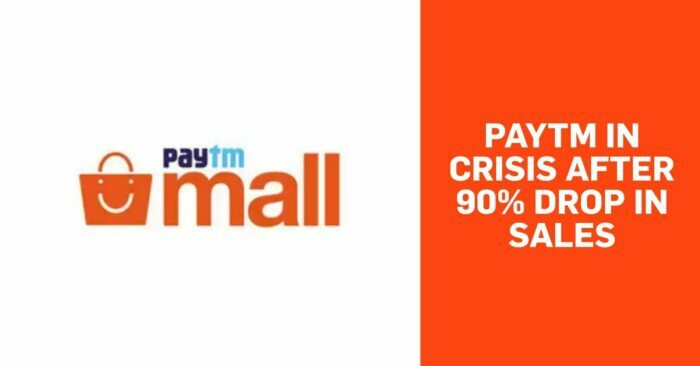 The cashback offer was up to a maximum 35%, but Paytm Mall stopped giving cashback from December 2 as it wanted to be margin-neutral,” one of the largest grocery sellers on Paytm Mall said. Parle that also sells its products on the Paytm mall, shared the same emotion. “Cashback was the biggest attraction for consumers on Paytm Mall and if that is discontinued, it directly impacts sales negatively on the platform,” said Mayank Shah, category head at Parle Products. Late last year, Paytm Mall had decided to cut back on its cashbacks by as much as 80% across categories including grocery, fashion, and electronics. “We have cut cashbacks across categories. This is part of the plan to… build stronger O2O (or online-to-offline) play, where we are investing big in (2019),” Paytm Mall founder Vijay Shekhar Sharma said. “We are removing cashbacks from warehouse supplied items and directing them toward physical store supplies. This saves logistics costs and gives us more to share with the consumer and merchant,” he’d added. Paytm is now focusing on bringing goods from other small shopkeepers across the country directly online and not hold much inventory at their own warehouses. This will not just save costs for Paytm but they also intend to pass the benefit to the end consumer. Cashback kind of loyalty simply did not prove to be a beneficial bet for Paytm and every time Paytm supported cashback transactions, it incurred only loses. This sales drop now is a warning also to other startups who think they can win customer loyalty by offering cashbacks and yet able to retain them without the offer. Today the customer only sees its own benefit and no form of loyalty stops a customer from switching to a rival platform.